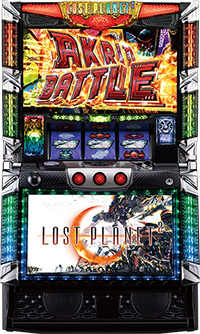 Today, we will be introducing a pachislot machine of a highly popular game, “Lost Planet”. Its original work is a third-person shooter video game, battling against an alien race called Akrid. This pachislot machine reproduces the battle depicted in the game faithfully with high quality images and extraordinary renditions. It is loaded with “Full Battle System”, that as long as player is annihilating Akrids during the jackpot round, the jackpot round continues and player gets more winnings. Whether you can annihilate Akrids or not, you will sweat your hands every turn for sure!! It is expected to make its debut on 5th of September!! Today, we will be introducing a pachislot machine of a popular game, “Devil May Cry X (Cross)”. 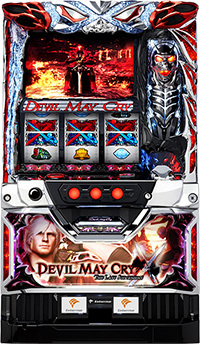 This machine includes elements of “Devil May Cry 4 Special Edition”, and it is named after the fact two protagonists of Nero and Dante crosses over. As for its rendition aspect, this machine is particular about its”images”. Actions being stylish as a given, it even pays close attention to the facial expressions of characters. The time player gets to enjoy the images the most is during the jackpot round, where they can watch total of 20 episodes. Fans can enjoy these episodes as a pure entertainment. This machine is expected to make its debut in August. Don’t miss it!! 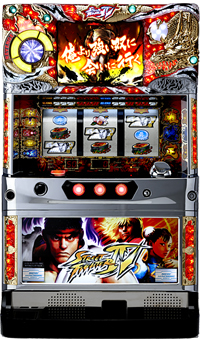 Today, we will be introducing a pachislot machine “Super Street Fighter IV”, a highly popular fighting game. With its latest PS4 game, “Street Fighter V”, being released in February, this pachislot machine is being released in the midst of a worldwide sensation!! The battle rendition, unique only to this fighting game, is a must see!! The percentage of a player winning a jackpot depends on the character they battle, the attack by the characters, and the special attack gauge!! And if the accessory of “Hadoken Sphere” located on top of the chassis move, there is a really high percentage of winning a jackpot!! Try to win many battles as you can to get the most winning possible!! It is expected to make its debut on April 18th! !Don’t miss it!! 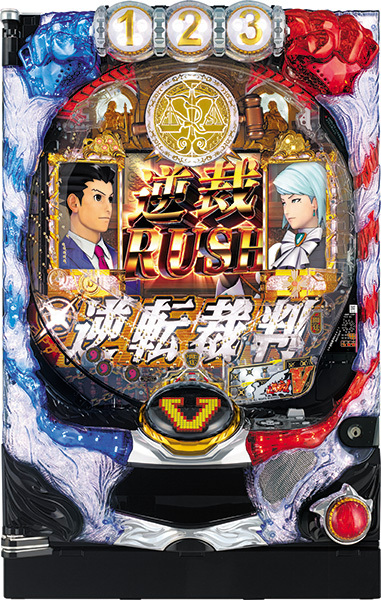 Today, we will be introducing a pachinko machine of “Ace Attorney”, a highly popular game developed by Capcom!! With its new animation series and the release of its latest work “Ace Attorney 6” this year, it has even made its debut as a pachinko machine, that it is a year of “Ace Attorney” for the fans! The exciting point of this machine is the court battle. 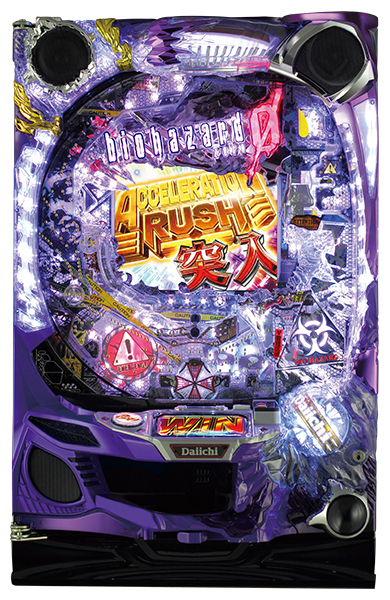 The presence of the game is still there, but with tensity unique to pachinko! As for the prosecutors, popular characters from the game series such as Reiji Mitsurugi(Miles Edgeworth) and Mei Karma(Franziska von Karma) makes their appearances. If the main character of Naruhodo(Phoenix Wright) points out the contradictions with the shout of “objection!”, your jackpot might be close by!! It will make its debut in March! Let’s see the actions of Naruhodo at the parlor! Today, we will be introducing a pachislot machine of “Onimusha 3”, which uses the third series of a popular game of “Onimusha 3” as a motif. This machine is the 4th and the latest series of Onimusha’s pachilsot machine, but it uses the same theme as the first pachislot machine. 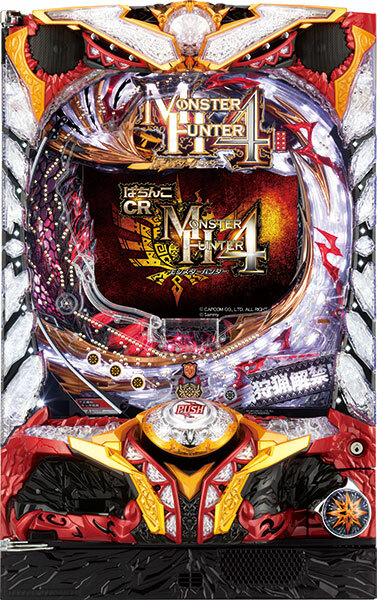 Since the 2nd and 3rd pachislot machine used the theme of “Shin-Onimusha Dawn of Dreams”, the time plot of the 4th machine goes back a little, but its gaming specifications have been improved significantly!! With the new character of Jack being added, who did not make any appearances in the first machine, player can enjoy new renditions as well. Defeat the Genma Lord of Nobunaga Oda with the new character, and grab the jackpot!! 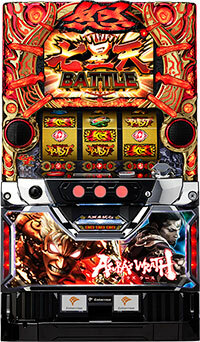 Today, we will be introducing a pachislot machine of “Asura’s Wrath”, which drew an attention by using lots of QTEs. Within this pachislot machine, a key word of【anger】is important. 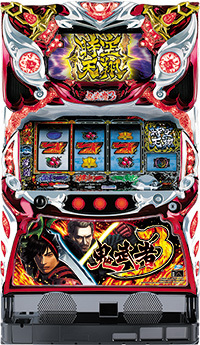 This machine uses an innovative system, that when the【anger】of both the player and Asura synchronizes, a variety of chances occur. Battles between seven Deities who all betrayed Asura is a must watch. Player will sure to be satisfied with the variety of renditions!! Check out the result with your own eyes!! Game fans are sure to give their consent with this overwhelmingly beautiful image. 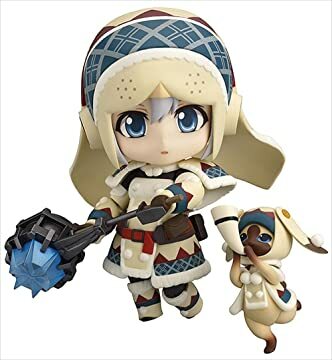 It has already made its debut in Japan!! This time, we will be delivering you the latest information on pachislot machine of “Resident Evil”, which we have introduced in March!! 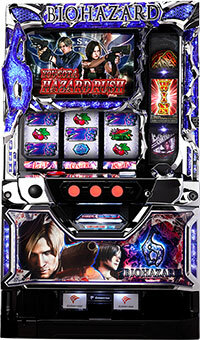 This machine uses latest game series of “Resident Evil 6” as a motif, and its images and accessories are extremely high in quality!! As for rendition aspect, it is loaded with J’avo mode, which surpasses Uroboros mode of the previous machine. Intersection of fate through multiple episodes leads to an ending no player could ever imagine!! Everything is at its top notch! !This pachislot machine of “Resident Evil 6” will begin its operation from July 2015!! Today, we will introduce a pachinko machine of Resident Evil(also known as Resident Evil), a world famous survival horror game that was even made into a movie!! As of now, there are 10 game series and its latest work of “Resident Evil　Revelations 2” (“Resident Evil: Revelations 2”) is a smash hit!! Being a second pachinko machine, it bases its story on the 5th game of the series, “Resident Evil Zero”. Image quality and accessories overwhelm the previous machine, and the playing speed depends on the kinds of jackpot you win. By loading functions no one has ever seen, concept of the Resident Evil is well expressed!! Debut is expected on 11th of May.Don’t miss it!! 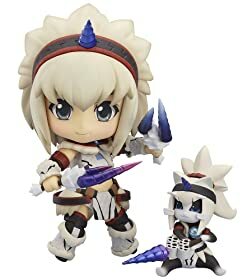 Today is a special feature about the Monster Hunter series, in which Monster Hunter 4 Ultimate was just released for the 3DS on October 11. As you can see, the above versions are the main ones in use in the over 4,000,000 copies sold. Especially in Gekkaraimei, the player’s monster suppression is linked with the stop button and if you get a good chance result, you can use a big barrel bomb or do critical damage. It’s exciting because it combines exciting gaming with pachislot! And to celebrate this, we will unveil a video that shows the monster suppression on both pachinko and pachislot. 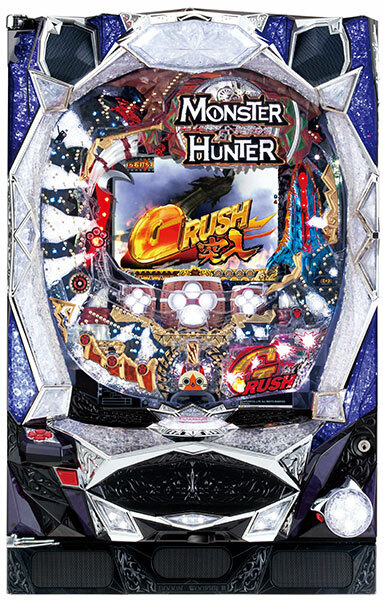 Monster Hunter was introduced in pachinko in the past, but now it will come to pachislot ! 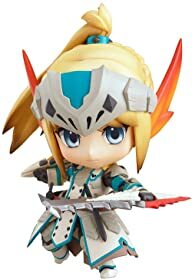 You can taste the excitement of hunting in the “living chassis,” which has the motif of Zinogre, a formidable enemy. Take down lots of monsters and come away with a jackpot! 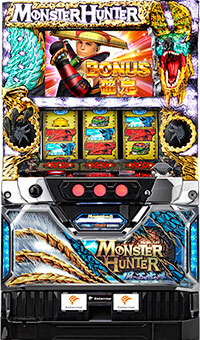 The popular game “Monster hunter” will make its Pachinko debut! Details have not been revealed yet. but an exciting hunt is surely waiting! You must be very excited, but please be patient. It will be released in 2014!